Iraq's daily oil production reached a record 4 million barrels in December 2014 and the country is planning to increase its share of the global oil market, said Iraqi Oil Minister Adel Abdul Mahdi. The decision is likely to push oil prices even lower. "We have agreed to keep the level of exports at 375,000 barrels per day (bpd) for the first three months of the year, and as of April, we will increase exports to 600,000 bpd," Abdul Mahdi said. Iraq increased oil production after a deal was reached between Baghdad and autonomous Kurdistan in December after years of differences over oil rights. 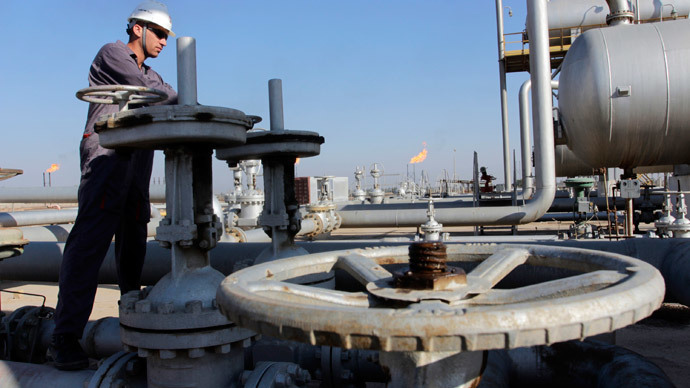 Iraq and Kurdistan agreed to ship 300,000 barrels of oil per day from Kirkuk and 250,000 barrels from Kurdistan via the Kurds’ pipeline network. The arguing sides were prompted to leave divisions behind and unite against the jihadist group Islamic State that has seized territory of northern Iraq. Ashti Hawrami, the Kurdistan regional government’s minister for natural resources, said pipeline exports of Kurdish and Iraqi oil to Turkey in 2015 could reach 800,000 bpd. Oil from Iraq’s north is delivered to Turkey via a pipeline network from the Kurdistan region to the Mediterranean port of Ceyhan. Iraq has the world’s fifth largest oil reserves, and is rapidly restoring its power as a major producer after decades of war and economic sanctions. The previous record for monthly oil output was 3.56 million barrels per day in 1979, an official from Iraq's State Oil Marketing Organization told Reuters. Since the beginning of the summer the oil price has fallen by a half which analysts believe is a result of oversupply in the global market, which was worsened by November’s OPEC decision to maintain oil output at 30 million barrels a day. At the same time Saudi Oil Minister Ali Al-Naimi said the organization needs to protect its market share and to prevent a fall in prices to reduce production outside OPEC. OPEC members see the United States as the cartel’s main rival as it has dramatically increased shale oil production in recent years. However, despite the continuous decline in oil prices, which already dropped to below $50 a barrel, many OPEC countries haven’t considered cutting production.